This dragonfly was very still while it was eating a fly. 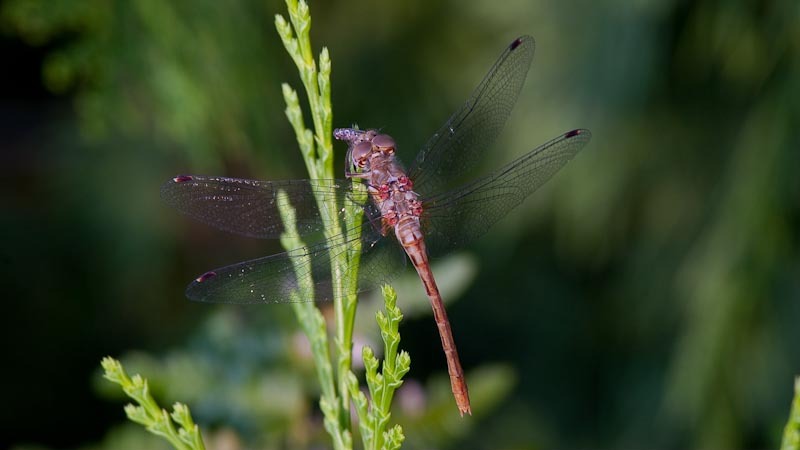 Dragonflies are valuable predators that eat mosquitoes, flies, bees, ants and butterflies. Their larvae, known as "nymphs", are aquatic and this dragonfly was sighted near the seasonal stream. Worthy of a Sierra Club calendar. I especially love the purplish cast of the dragonfly against that vivid green. What is it about dragonflies that we can't get enough of them, Jane! This one is exquisite! Love the details, beautiful closeup.